Hi there, We are glad you have taken the time to visit our web site. On these pages you will be introduced to Buddy, Brave, Bull and Rusty. We also have few other hopefuls from Beeline Brittanys. It is with these foundation sires that we hope to perpetuate the qualities that have elevated them to the top of their games. Nolan competes in walking field trials as well as hunt wild birds with these dogs that we love. As you know, Brittanys aren’t suppose to be able to compete with Pointers and Setters, but these just keep coming through for me, day in and day out, in National Shoot-to-Retrieve trials. Their drive, heart, bird sense, and brains never cease to amaze me, even to this day. Nolan never knew just how blessed he was the day he brought home the seven-week-old puppy that was just going to be my buddy. Guess by now you have figured out how he got his name (‘Buddy’). Nolan does know now that he was truly blessed and is thankful everyday for the time that he is allowed to spend with these wonderful dogs. Since Nolan was very young he has enjoyed the outdoors and hunting. As a young man he hunted deer and small game when he could. He was taught early on the importance of the harvest and the value of the life taken. Neither should ever be taken lightly. Nolan was also taught the immense responsibility of safe gun handling, which he practices and trys to impart on every outing. Nolan listened to his father and uncle spin tales of their many hunts for Ruffed Grouse. Nolan also owned a Brittany as a pet. The two didn’t come together until later but when they did it was hook, line, and sinker. 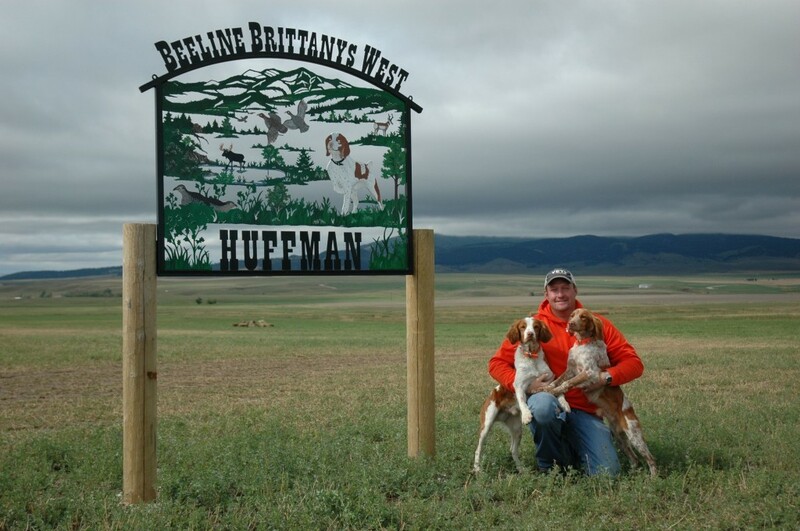 Nolan’s first Brittany bird dog was a gift from a now great friend, Dennis Brooks. He probably didn’t realize at the time that he would have to train me as well as the dog. He was very patient and did a wonderful job with the dog at least. Nolan learned a great deal from him as well as from books, videos, pro trainers, and other good friends, with all of this to sort through, the main thing Nolan learned was that there is no single way to train a dog that will work on every one. As a trainer, you need several different ways to obtain the same objective. You also need a kind hand and lots of patience. The dog has to want to please you before he will try to do so. The goal of our breeding program is to produce Brittanys that can compete with any breed of pointing dog, in a walking trial or in the uplands. They must have wonderful dispositions as well as great temperaments. As of now they possess great speed, a tremendous nose, and strong natural talents. We will do my best to reproduce and hopefully sharpen these traits for we feel these are the cornerstones of any true bird dog. Once again, thanks so much for visiting Beeline Brittanys. We hope, from this site, you will be able to learn a little more about my dogs and goals, so that when we cross paths we can talk shop and proceed to better this wonderful breed that we love.